Do I need to have an attorney represent me after a car accident? 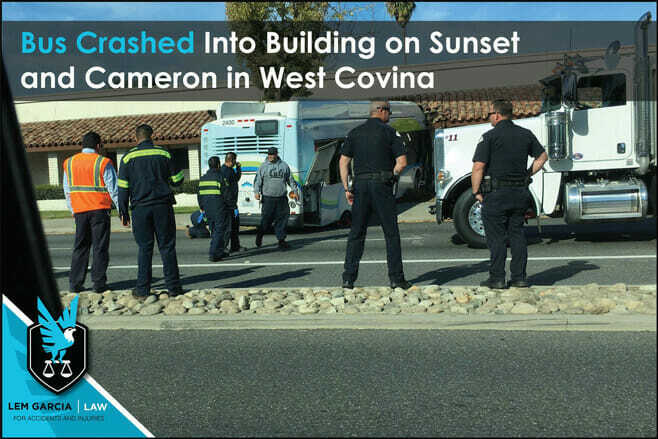 On the way back to the office this morning, I saw a Foothill Transit bus that crashed into the side of the Cameron-Sunset Professional Building in West Covina. I hope that nobody was hurt from this accident. In the event that you or someone close to you was hurt from this accident, it is important to know that there may be a bodily injury case to pursue. It is currently unclear what happened here, but what is clear is that negligence is involved and if anybody is injured they deserve to get fully compensated for everything that they have and will have to go through. Whether you were injured as a pedestrian on the sidewalk, a pedestrian inside the building, an occupant of the bus, another driver on the road, or as the bus driver, you have a case against the at fault party. Injured victims have the right to get compensated for their medical bills, future medical bills, pain and suffering (past, present, and future), and lost wages. If you, a family member, a friend, or relative was injured in this crash or any other accident, give us a call. We are here to help people who have been injured in accident. We are happy to talk to you and answer any of your questions and address any of your concerns – for free and without any obligation.